LIVES LIKE A 2 BEDROOM! Don't miss this top floor condo at the Pines at Orehouse. TURN-KEY, Yes, fully furnished. The open plan main level enjoys afternoon sunshine, cozy fireplace, a spacious master bedroom, laundry and bathroom. The upstairs is an absolute BONUS! 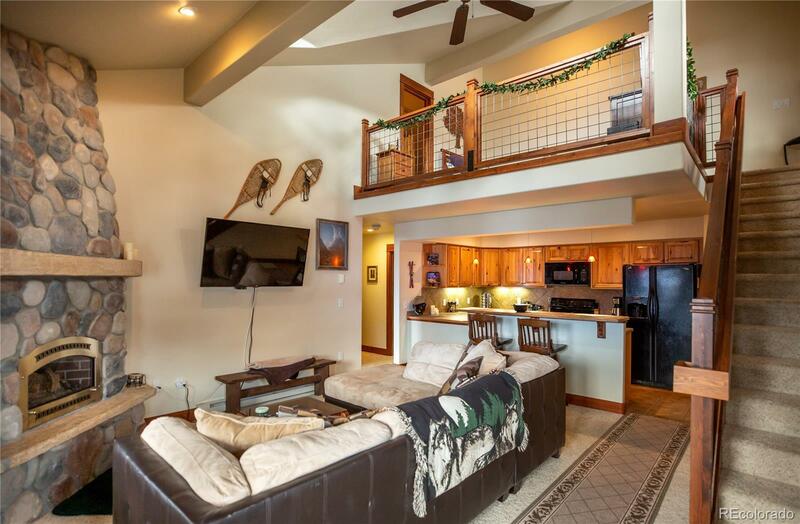 The large loft is perfect for a second bedroom or tv area, complete with full bathroom. PLUS a huge walk in flex area for a closet, storing gear, or even a kids play room. Nestled at the rear of the complex the location is ideal, so close to shopping, dining, city bus and trail system. The Pines at Orehouse also offers outdoor hot tubs, the perfect way to end a Steamboat day!